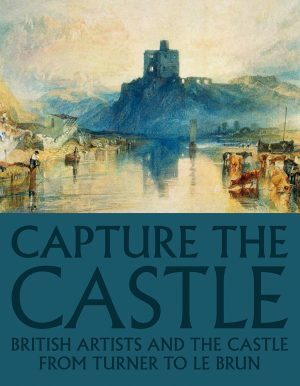 This book, published on the 80th birthday of the distinguished British artist Brian Rice, catalogues all his paintings made over his long career. In the 1960s, Rice was at the heart of the London art scene, producing some of the era’s most groundbreaking paintings. As part of the crowd around the Royal College of Art that included David Hockney, Peter Blake, Joe Tilson, Allen Jones and Derek Boshier, he mingled with fashion designers, rock musicians and models. Film director Michelangelo Antonioni interviewed him when researching the background for Blow Up. His works were part of the fabric of the times and appeared in many TV commercials, fashion shoots and set designs. In the mid-1970s, Rice left the glamour of London and retreated to his roots in the West Country. He became a sheep farmer in Dorset and taught part-time at Brighton College of Art (now University of Brighton). Working the land he discovered Bronze Age archaeological remains and these inspired a new artistic direction, focused on the landscape and ancient traces of habitation. Life and art merged in the 1980s when he sold his farm and bought a dilapidated fifteenth-century house, which he set about restoring over the next 35 years. This commitment led to an artistic resurgence that saw him produce mature work with a deep connection to nature and the sense of place. The paintings are introduced by art critic Andrew Lambirth, whose essay sets Rice’s work in context and traces its development over more than 60 years. First full catalogue of paintings by major British artist, highly fashionable in the sixties and now critically acclaimed for his later work. Iconic 1960s images, central to their time and now increasingly valuable. Post-1970s works show a developing thread of British romanticism and a deep connection with nature and place. Strong West Country links – specifically Dorset/Devon/Somerset.